Please have a look to the Heated Pools in City of London swimmers like you've got reported. Is your pool not listed? Contact us to ADD IT. It is absolutely free! 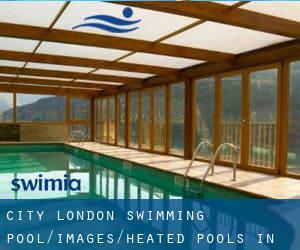 Swimia.com requirements your feedback to ensure all of the knowledge is valid, since maybe this pool is no longer open to the public. There are often discounts available to senior citizen and tiny children. Find out by contacting your nearest pool in City of London. The best pools to swim are definitely indoor olympic pools. Please check the nearest Swimming Pools or Contact us to ADD IT. It is free! Are you a regular swimmer? 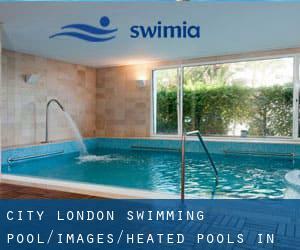 Do you visit the same Heated Pools in City of London? Please check that all the details for your aquatic centre are right and get in touch with us when you get any mistake. 21B Old Broad Street , The City , London - Central , England , UNITED KINGDOM (Postal Code: EC2N 1HQ). Among all the activities provided by the centre, for anybody who is considering swimming you might delight in 20 meters x 6 meters, Indoors. Just in case you want to contact this Pool before dropping by, we only know the phone number. Ibex House , 1 Haydon Street , The City , London - Central , England , UNITED KINGDOM (Postal Code: EC3N 1HP). This sports centre gives 18 meters x 10 meters, Indoors. For this Swimming Pool, only phone number is number here. One Ropemaker Street , The City , London - Central , England , UNITED KINGDOM (Postal Code: EC2Y 9AW). Swimmers like you reported 20 meters x 10 meters, 4 lanes, Indoors. Unfortunately we do not have the e-mail address of this Pool, but we can give you the phone number. Cousin Lane , The City , London - Central , England , UNITED KINGDOM (Postal Code: EC4R 3XJ). This sports centre provides 18 meters x 6 meters, 3 lanes, Indoors. For this Swimming Pool, only phone number is number here.